I kind of collect belts, from the 50-year-old hand-made inches-wide leather style with ornate Mexican silver buckle; to a contemporary pseudo-leather critter with multiple off-set holes; to a futuristic version (my favorite!) that grips, flatters, goes through airport security without setting off alarms, comes in colors – and keeps my pants up in all circumstances thus-far encountered. Now, that’s versatile! Back in July, 2017, after moving to Montana (still gotta get the dog, battered pickup, and rifle rack to feel like a native), I started exercising and leafing through local magazines, simultaneously. 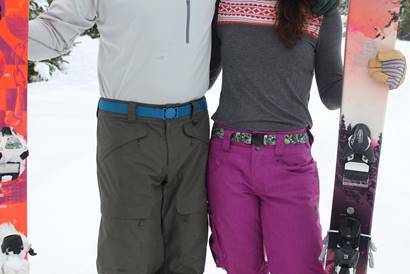 The exercise dropped my shorts a size; the editorial introduced me to the Jelt Belt (https://jeltbelt.com/), an ingenious Bozeman product that’s fun, socially and environmentally responsible, yet totally practical – so many positive qualities that it gives renewed faith in the entrepreneurial mindset. And it fits my new almost-size-34s as well as the previous 36s. I’ve always liked leather belts. They’re handsome, can slide reasonably easily through loops, even smell kinda good when they’re new – and you can commission designer buckles. But it can be tough to punch extra holes as time goes by and waistlines expand or contract; and if you don’t have belt loops, they’re slick enough to slide up and down, with consequent droopy pants. With a lot of fabric belts, you can pierce the material with the buckle prong, but again they’re often on the thick and wide side. Like leather, they generally have metal buckles, so you may need to remove the belt (and put it on again) while going through airport security – not fun if you’re literally running to make a flight. Enter the all-synthetic Jelt Belt: tough, adjustable, stretchy, with a grippy inner-surface gel. Endearing from an environmental perspective, all models are made of yarn from recycled plastic water bottles; while part of sales goes to organizations supporting veterans wounded in combat, environmental causes, and kids. New belt lines are being manufactured in Montana rather than China, including products assembled at the Montana Correctional Enterprise Program at the Montana Women’s Prison, where women receive new job skills to make them more employable. Jelt Belts are slender rather than thick or wide, but they hold very snugly. (You can order for jean sizes 22-40.) They come in different colors (I’m partial to the River Turquoise and Denim Navy Blue; kids get fun shades too). Maybe more importantly than aesthetics, buckles in two configurations are quick-release. I’ve even learned to release and re-buckle one-handed (let your imagination run wild, but so far they’ve been very mundane uses). Buckles are low profile – flat, actually – so there’s no bulge under your shirt or sweater. 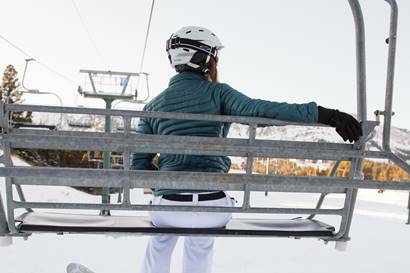 Skiing, golf, running, walking, socializing, they seem right for every occasion. I plan to become a collector of the Jelt Belt subset of belts, perhaps display them in chronological order of acquisition. P.S. Maybe you have a large family, a huge wedding, ski club buddies, or colleagues in a mega-corporation who’d enjoy a surprise gift? Be the first person on your block to get customized Jelt Belts! Figure on a minimum order of 1,000 of the critters made to your specs, and several months for delivery. Jonathan Wiesel is a Montana-based writer and cross-country ski consultant (www.nordicgroupinternational.com).